India has made significant strides in the healthcare sector in the past few decades. 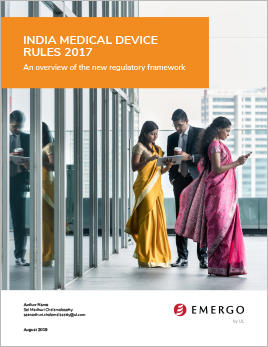 In 2017, India's regulatory authority - the Central Drug Standard Control Organization (CDSCO) - published the Medical Device Rules, 2017, which came into force as of January 1, 2018. While the regulations brought more structure to India's developing regulatory framework, they also raised a number of questions. how the regulation defines medical devices, IVDs, etc. Download our white paper for answers to your biggest questions about medical device market access in one of Asia's fastest-growing markets.